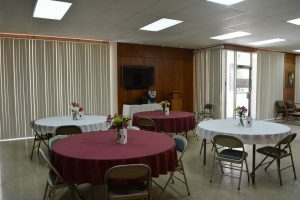 Sacred Heart has a number of meeting spaces and facilities that are utilized throughout the week and weekends during Masses. If you are planning to join a meeting or ministry group at Sacred Heart, you will typically be notified in advance of the location either via email or in the bulletin. Should you need further instruction on where each of our meeting rooms are located, we’ve provided a map below. The San Damiano Center is located at the corner of Madison St. and N. Florida Ave. 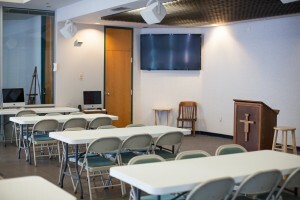 It is the largest meeting space available at the parish and typically hosts Bible Study classes and the Sunday morning nursery during Mass. The St. Francis Hall is located at the corner of E. Twiggs St. and N. Marion St. and is one of the larger meeting spaces. 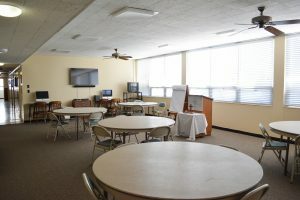 Typically used for New Parishioner Welcome dinners and some faith formation classes, the St. Francis Hall provides a classroom type setting with the availability to host meals. The St. Anthony Room is located within the Parish Office at 518 N. Marion St. 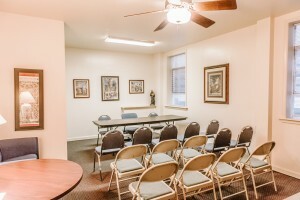 Located on the first floor of the office, the St. Anthony Room is usually used for smaller group meetings that require privacy and/or confidentiality. 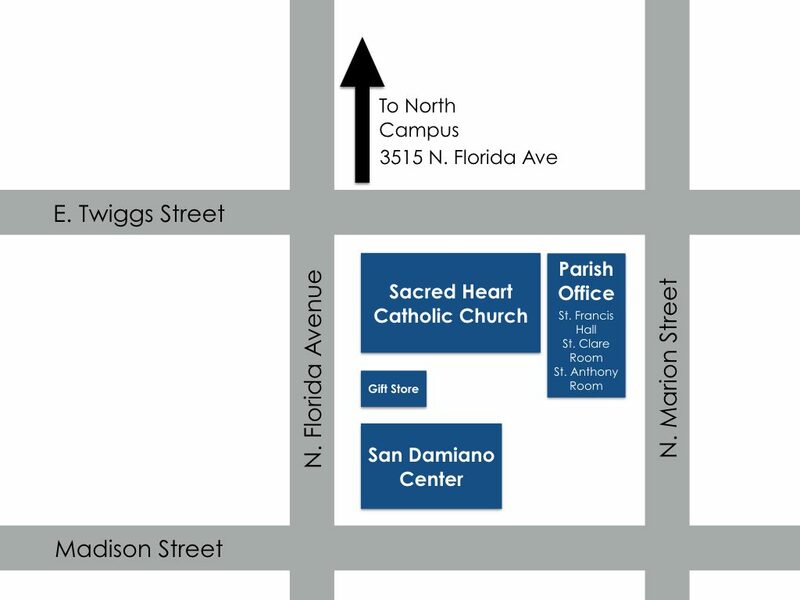 The Sacred Heart North Campus is located just north of the Church at 3515 N. Florida Ave. 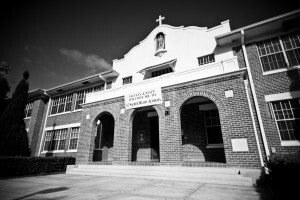 Previously the site of Sacred Heart Academy, the North Campus is used each Sunday during the Catechetical year for Faith Formation sessions. It can also be used for various parish events like the Annual Picnic and RCIA retreats.